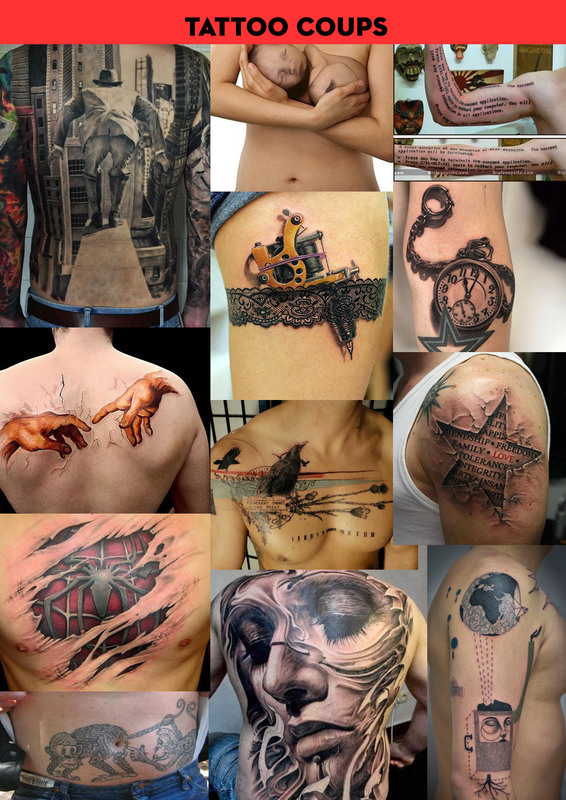 The inking of flesh has been doing the rounds since the Stone Age across almost every culture on the planet, but never has the pursuit been as all-pervasive than at this point in time. Once the domain of rebels, social outcasts and misfits, dolphin and unicorn tattoos and tramp stamps now rub shoulders with fashionistas and mall rats alike. 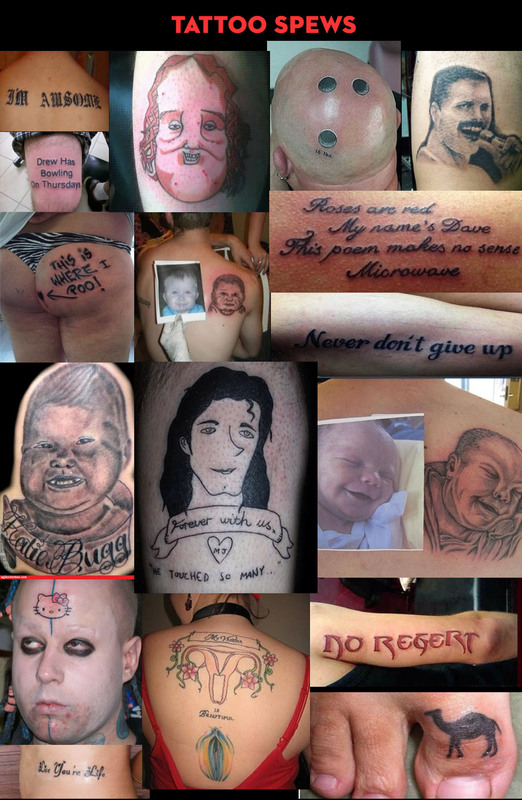 Love them or loathe them, like pretty much everything else in life, tattoos are in the eye of the beholder; from the extraordinarily artistic and inspired to the god-awful equivalent of Cake Wrecks and Awkward Family Photos. This entry was posted in Art, Fashion, Lifestyle and tagged tattoos by Lucia. Bookmark the permalink.